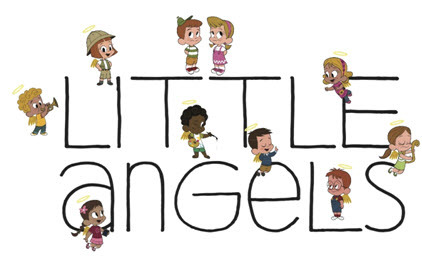 Little Angels is an animated series created for preschool age children. They teach practical learning skills such as, like ABCs and 1,2,3s, while introducing children to the spiritual, moral and ethical principles of the Bible. We were sent the 3 DVDs in the series to review. Alex and Zoe are preschool twins that are blessed to have eight little angels watching over them. The Little Angels live on the ceiling of their bedroom and when the children need them most they come alive to help guide them through challenges. 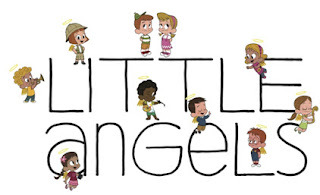 As the Little Angels teach about the ABCs, 123's, and Animals they also teach about stories from the bible. When the twins get into a situation they can learn from the Angels come to life, share a bible story and relate it to the theme (ABCs, 123s, or Animals). In the ABCs they teach some higher level vocabulary pulled from the bible. When I put the DVD on to start Jayden stopped what he was doing and just started watching. It immediately caught his eye. He watched the first DVD and asked for more. We watched 2 right in a row. They really did keep his attention. I really like the lessons about god, the bible, and more. I think these DVDs are great and we will continue to watch them. The DVDs include music videos and downloadable activity sheets, plus a downloadable bonus digital copy of each lesson that will allow for learning on the go. 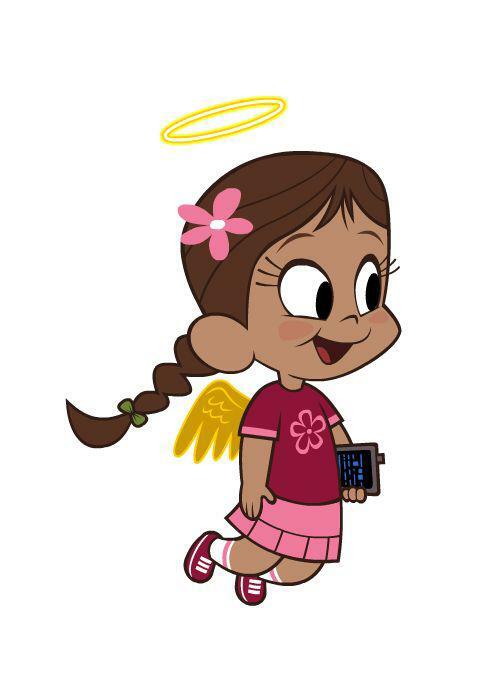 The Little Angels DVD series is just part of an inspiring and educational product line including CDs, boos, apparel and App. Enter in the Rafflecopter form below! This giveaway will be open until 3/7 at 12:01AM (EST). Thank you to Little Angels for providing the DVDs for Review & Giveaway. I'd like to win this for my niece and nephews in Victoria! I love that it teaches children with lessons from the bible. This would be for my boys- harrison & ruben! They offer books and iPhone apps as well! Absolutely would love to win these DVDs. Mainly because they carry an educational element in a fun way. O learned they also have apps on itunes. 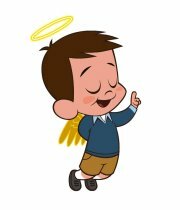 I saw something about the Little Angels the other day and didn't know what they were. I just learned that eight Little Angels are looking over four year old twins, Alex and Zoe. The angels live on a mural on the nursery's ceiling and come to life when the kids need them most. They act as teachers, protectors and friends - to instruct and guide. They have wonderful DVDs to make all the learning interesting and fun. I like that it has a games app. I learned that you can buy books also! I want this for my grandchildren. We love to snuggle on the couch and watch DVDs together. I learned that they not only have DVDs but also CDs and books. I'd love these for my dd. It's hard to find good educational DVDs that also incorporate teachings from the bible. I would love the Angels Watching Over Us! So many cute dvd's! My Grandbabies would love these! I learned they have apps on itunes. I would love to win this for my niece because she would love them. I like that this is a faith based series. I wan to win this for my son I think he would love this.